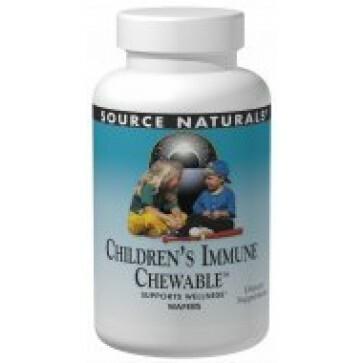 Wellness Children's Immune Chewable 30 wafers is a powerful cold weather blend designed to support children's immune defenses. Wellness Children's Immune Chewable 30 wafers is a powerful cold weather blend designed to support children's immune defenses. It is carefully formulated with safe dosages of herbs and nutrients-including Echinacea, elderberry, astragalus,marshmallow, mushrooms, and zinc-plus advanced special ingredients such as beta-glucan and transfer factor and raspberry flavored.